There have always been women among pirates and sea robbers. Metaphors of mysterious and destructive femininity may have perennially been assigned to the sea and its dangers, but the real women who sailed on ships steered them, sank with them, commanded them, even commandeered them have been ignored by a history written by and for patriarchal men. Ample evidence of women pirates and even feminine piracy nonetheless abounds: beginning with ancient legends of Amazon sailors in several cultural traditions, and continuing uninterrupted through a wealth of confirmed historical figures, down to the present. 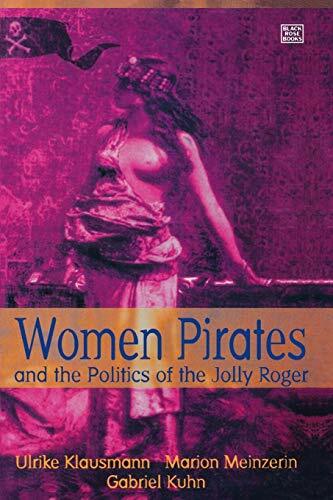 Women Pirates and the Politics of the Jolly Roger is an account of piracy through three millennia, in histories of women and men sailing on four seas: the Chinese Straits, the Mediterranean, the Atlantic Ocean and the Caribbean. 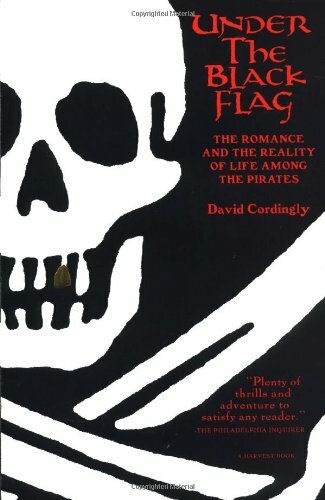 Though literature, films, and folklore have romanticized pirates as gallant seaman who hunted for treasure in exotic locales, David Cordingly, a former curator at the National Maritime Museum in England, reveals the facts behind the legends of such outlaws as Captain Kidd, Blackbeard, and Calico Jack. Even stories about buried treasure are fictitious, he says, yet still the myth remains. Though pirate captains were often sadistic villains and crews endured barbarous tortures, were constantly threatened with the possibility of death by hanging, drowning in a storm, or surviving a shipwreck on a hostile coast, pirates are still idealized. Cordingly examines why the myth of the romance of piratehood endures and why so few lived out their days in luxury on the riches they had plundered. --This text refers to an out of print or unavailable edition of this title.